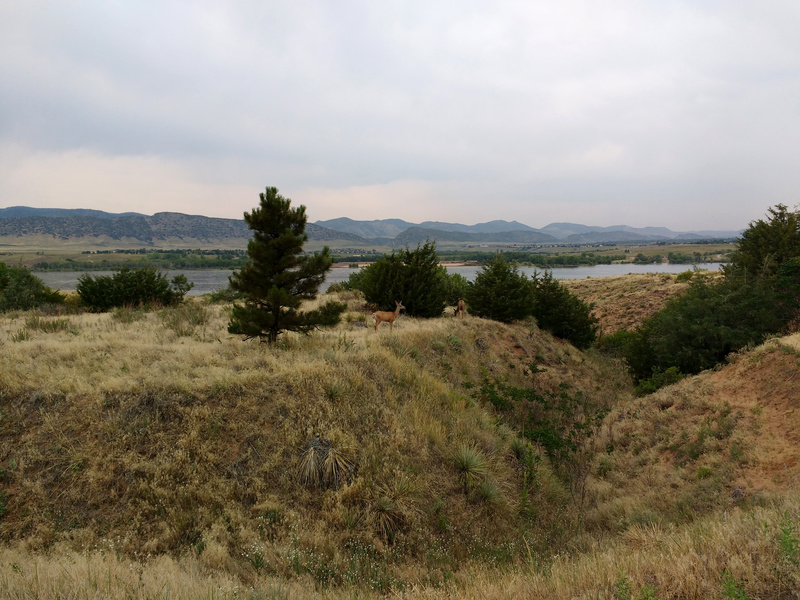 Free high resolution photo of deer at Chatfield State Park in Littleton, Colorado. This picture shows a couple of mule deer in a landscape photo shot on a cloudy day. The photo shows a small ravine with some pine trees and grasses in the foreground. In the background you can see Chatfield Lake (which is actually a flood control reservoir) and the foothills of the Rocky Mountains. Free image for any use.